Principals will be required to attend monthly cohort trainings in the evening and participate in a collaborative Canvas course with their colleagues. There will be a mandatory two-day introduction workshop in the summer of 2018 for all participating principals. Teachers and principals who choose to participate will receive monthly school wide professional development. A 5% increase on each school’s performance on district benchmarks, using a baseline of the school’s 2017-2018 scores, by the end of the third year of the implementation of the program. The number of teachers using technology at the “Redefinition” level will increase by 25% by the end of year 1. Digital tool fidelity rate will increase to 80% fidelity for participating teachers at all selected schools. Students in participating classrooms will have access to tier two interventions. Participating teachers will complete monthly co-teaching and tech integration training. 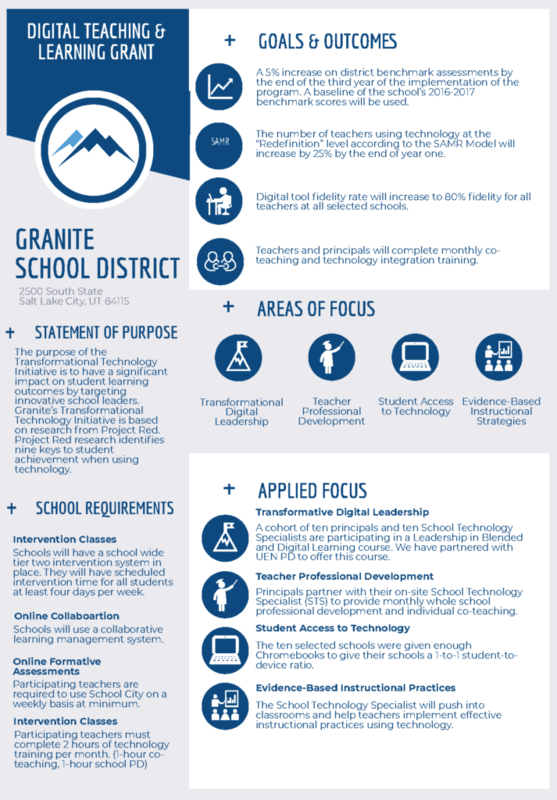 Complete the application form with your School Technology Specialist and school leadership team. 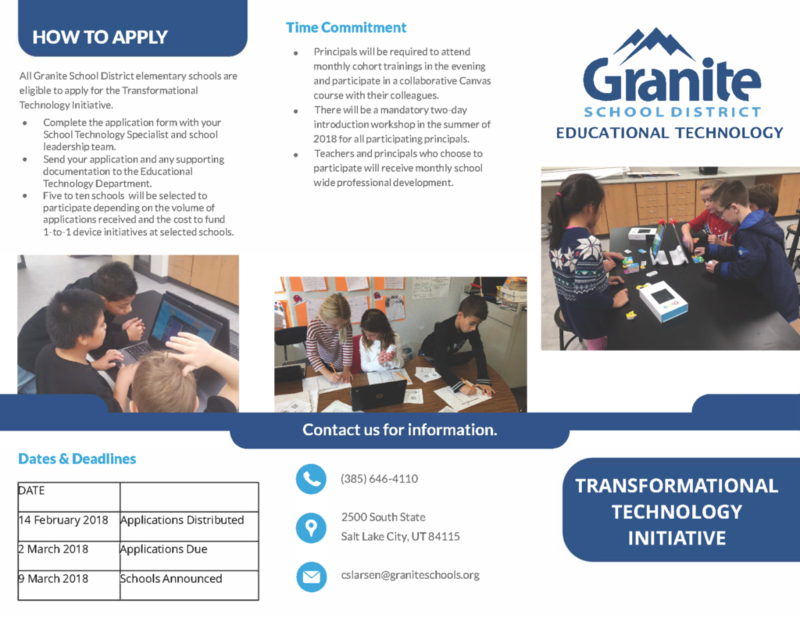 Send your application and any supporting documentation to the Educational Technology Department. 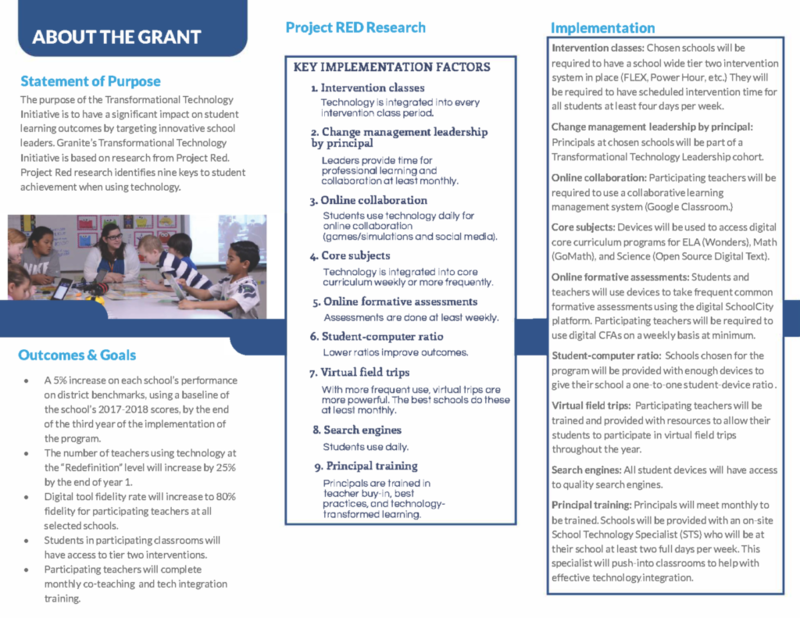 Five to ten schools will be selected to participate depending on the volume of applications received and the cost to fund 1- to-1 device initiatives at selected schools. News, Digital Resources, Teacher Spotlights, &c.